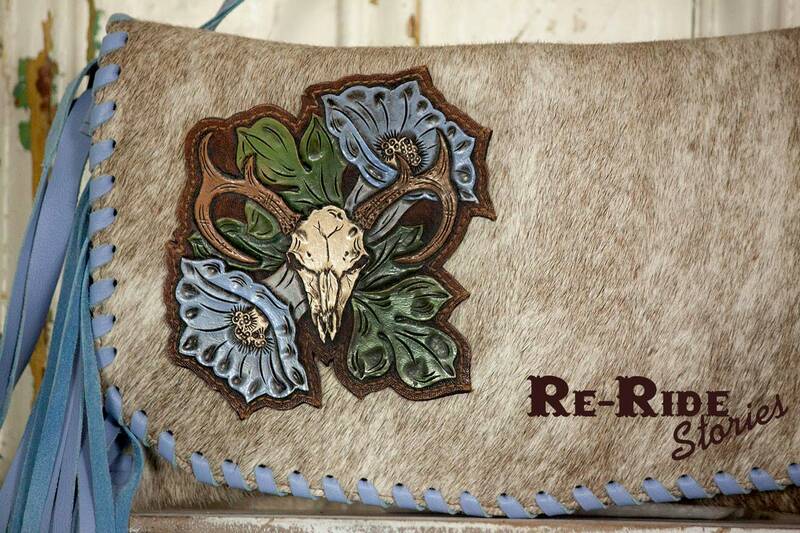 This cowhide clutch has a beautiful hand tooled and hand painted embellishment on the flap. 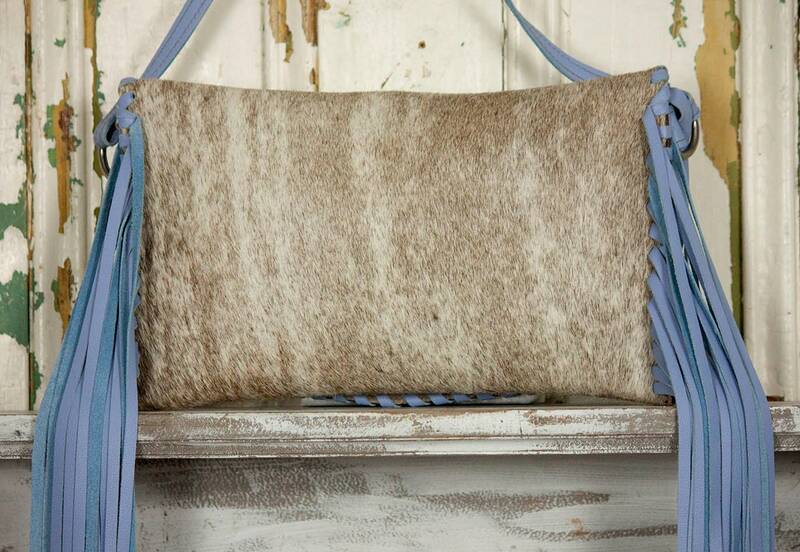 This clutch is made with hair on cowhide, laced with leather and it is lined with leather. 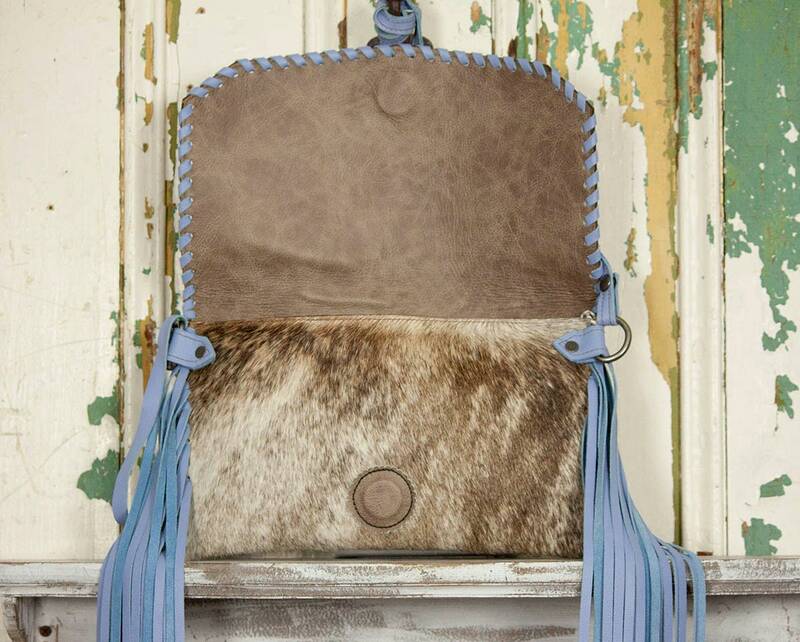 The sides have matching chap weight leather fringe. 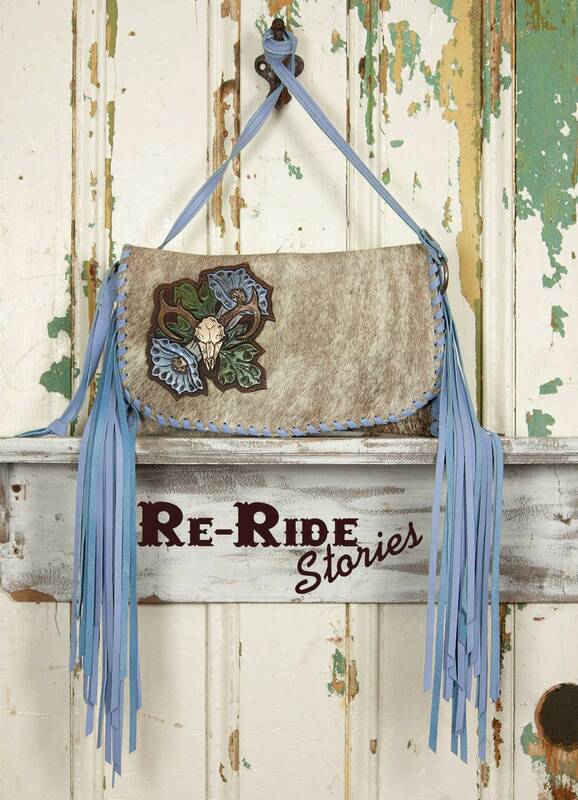 The leather fringe is roughly 15" long. There is a wrist strap made with chap weight leather. This clutch is 12" wide and 8" tall. There is a heavy magnet for the closure. The strap is 33" long and 1/2" wide and can be removed if you want either carry it as a clutch or attach a longer strap.